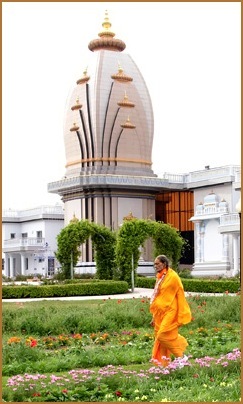 Kripalu Ji Maharaj has benefited humanity by helping people understand the virtues and essence of Bhartiya scriptures. The significance of his teachings is that the Bhartiya scriptures are written in Sanskrit, a language that has lost its mainstream appeal. After 500 years of decline, Sanskrit a once universal language is now only understood in scholarly circles. Kripaluji Maharaj hopes that the series of devotional books helps our generations understand the knowledge that leads to true God devotion. This opportunity is crucial and represents the True way, alleviating the burdens of maya. One of his most reflective pieces, The Prem Ras Madira plays a vital role in God realization, containing the seven steps in which a devotee can attain Bliss. The Prem Ras Madira contains 1008 songs of Krishn. This website contains steps five through seven. The first four can be found at Kripalu-Ji-Maharaj.